Darius Kazemi, a former director of the International Game Developers Association, says the organization is actually working against the best interests of game developers. You might recall Darius Kazemi as the IGDA board member who resigned earlier this year over the controversy caused by the association's Game Developers Conference party, which featured female dancers in "skimpy" outfits that a number of attendees found offensive and demeaning. He only had three days left in his term but quit anyway, apparently deciding that the principle was too important to ignore even when the clock was so close to hitting zero. But yesterday, he revealed on his blog that there was more behind his decision to leave than just the GDC mess. Kazemi wrote that during his orientation as a board member in March 2010, it was impressed upon him that his "primary duty" was "fiduciary responsibility to the organization." He said it made sense at the time, but he came to learn that it's actually very problematic. "Fiduciary responsibility as a number one priority means that the most important thing for the organization is the continued existence of the organization. This means that any action we could take as an organization that carried any sort of significant risk of us losing a chunk of members (or god forbid, our corporate sponsorships) would be immediately shot down by a majority of board members with some variation of the refrain, 'My fiduciary responsibility to the organization prevents me from supporting this'," he wrote. "What this translated to: anyone with an agenda that promoted anything but the status quo would be heavily challenged," he continued. "Even something relatively innocuous like, 'Instead of pointing out bad studios to work for, let's highlight some good studios to work for!' was cause for alarm because it would surely alienate a never-specified number of people whose memberships we couldn't stand to lose!" Kazemi argued in the post that corporations like the IGDA in its current state because it gives developers a support organization without actually supporting their interests. The fix? Lose the IGDA. "If the IGDA disappeared, conditions for workers would not change materially, and in the long term, these conditions might even improve since energy would no longer be spent on an org that is structurally unable to engage in collective bargaining," he wrote. 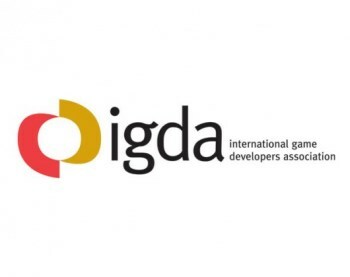 "Given the current state of the IGDA, by buying into the idea of 'fiduciary responsibility' to the organization as their primary duty, board members are working against the interest of the individual developers who pay dues." "It is the fiduciary responsibility of IGDA board members to ensure that the organization continues to exist," he concluded, "but it is the moral responsibility of IGDA board members to ensure that it does not."